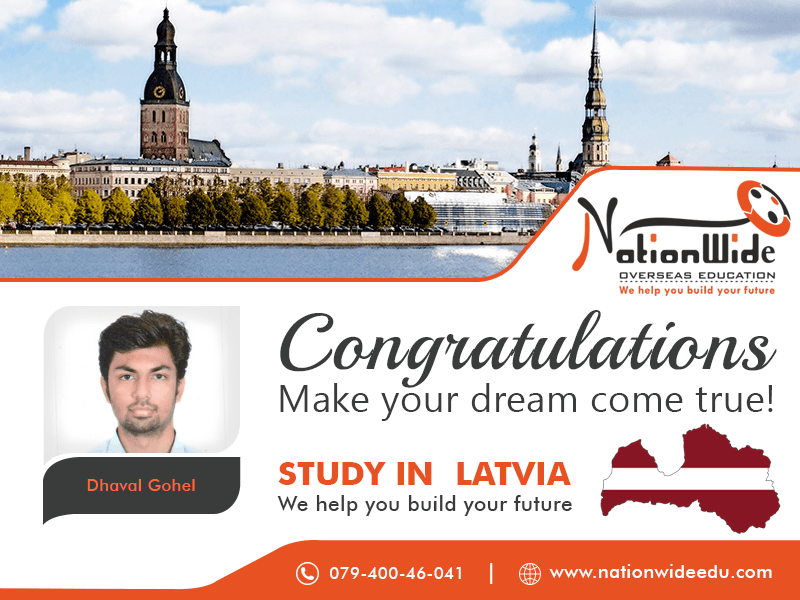 Heartiest congratulations to Dhaval Gohel for his successful visa approval of Latvia. He is one of our brilliant students who are ambitious about foreign education. With own hard work and help of our team, he achieved successful visa approval. We, Nationwide wish many of the successes for him in his life and are proud to share his achievement. You can also get successful visa approval with help of our experts.